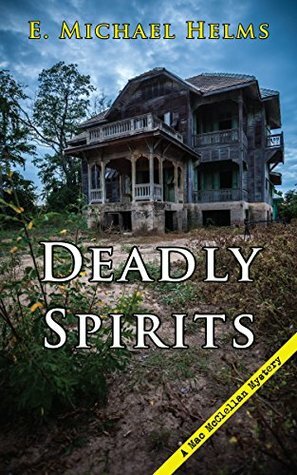 When PI Mac McClellan’s girlfriend convinces him to join the Palmetto Paranormal Society, he becomes embroiled in a case of whooodunnit. The society president, while investigating an old hotel, is found dead at the foot of the stairwell, his neck broken. The man’s secretary and current squeeze stands horrified beside his body. Authorities rule the death an accident. Mac has doubts—no one heard the man tumbling down the stairs. Then the secretary dies in an apparent suicide. Two deaths in two paranormal investigations, and not a peep out of either victim. Mac suspects there’s more going on than a vengeful spirit. Book 4 in the Mac McClellan Mystery series, which began with Deadly Catch. Twins separated as toddlers, reunited as adults and now switching places in a deadly game to take on organized crime. Her sister is alive! Excited to discover that her twin didn’t die as a toddler, Tijan can’t wait to meet her other half but she struggles to understand why her only sibling hasn’t reached out in almost thirty years. Although the reunion is joyous, not everyone is excited to discover that there are two of them. Using it to her advantage, Tijan is determined to take down the one man, responsible for it all… her father. The secrets and lies that have kept them apart, soon unravel but with deadly consequences. Just when you think Maggie Thom is at the top of her game, she writes another suspense that takes her to yet another pinnacle. In Split Seconds, identical twins separated as toddlers are reunited. Thom tells the story of their separation in chilling detail that brought tears to my eyes, forced the adrenaline to pump and caused my maternal instincts to feel their agonizing pain—and that was only the beginning. Lest you think all falls into place when they meet again years later, you’d better hang onto your seat because you’re in for more twists and turns than a world-class roller coaster. Thom kept me guessing to the very end with her skillful writing, believably flawed and engaging characters and intriguing subplots. I highly recommend this book. Click on the button of your choice. It’s hard for me to believe Adrift released six months ago. Since January, I’ve experienced things I’d only dreamed about–holding an advanced reader copy of my book, staging a book launch, compulsively checking my rating status, watching it climb into the Amazon Top 100, crying when the little Best Seller banner showed up next to my title. I made it higher on the list, but being surrounded by the likes of Stephen King, Steve Berry, and Jeffery Deaver started another whole round of waterworks. 3 out of 5 stars to At the Drop of a Hat, the third book in the “Hat Shop” cozy mystery series, written in 2015 by Jenn McKinlay. 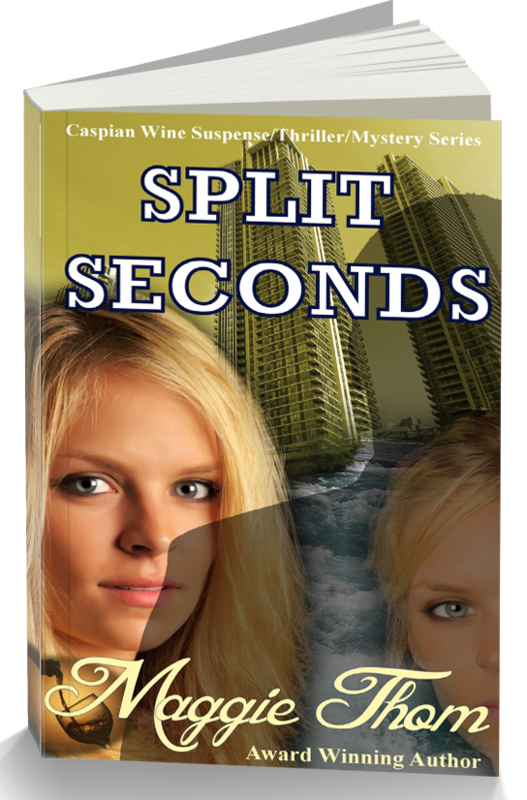 Another good book by this lovely author… serves as a model cozy with light humor, romance and mystery. I’d purchased a few of these paperbacks on Amazon earlier this year, wanting to have a few cozy mysteries to include in between my NetGalley Advanced Reader Copy (ARC) books. Jenn McKinlay is a fun writer and the books take place in my favorite place, England. I had just finished the second book in this series last week and wasn’t ready to give up the characters, so I read this one back-to-back. Come Visit Annika Perry’s Enchanted Haven! Last weekend I fell a little bit more in love with life. Every journey I set off on, I feel a flutter of excitement, a bundle of palpable nervous energy, never quite knowing what to expect. A short weekend break booked on the spur of the moment a few days ago was no exception! For our first trip away on our own in fourteen years, my husband and I decided our anniversary was a perfect opportunity for some time-out; June had been, for various reasons, a hectic stressful month with little opportunity to just stop and be together. North Norfolk proved the perfect haven; a blissful retreat from our busy schedules and our brief sojourn there seemed to last a week as the peace and tranquility washed over us, tension headaches easing, laughter and lightness returning.